The number and diversity of illegal wildlife products is huge, including everything from exotic pets, such as primates, birds and reptiles, to traditional Chinese medicines, art and high-fashion accessories made from animal parts. The United States is both one of the world’s largest markets for illegal wildlife and wildlife products, with many believing it ranks second only to China, as well as one of the largest suppliers. However, the scope of the problem is truly global, with products and animal parts passing from east to west, developing to developed countries and vice versa. For example, endangered Tibetan Antelopes, known as chiru, are killed for their wool, which is then woven into ultra soft, thin shahtoosh shawls destined for New York and Europe’s fashion elite. A single shawl, worth up to $15,000, uses the wool from five murdered animals. In Caspian Sea countries like Russia, sturgeon eggs are cut from these protected prehistoric fish as a culinary delicacy. The caviar is then sold in Europe and New York for over $2,000 for a small, 250 gram tin. South America’s rare reptiles are processed into boots, purses and belts, while endangered primates from Africa both feed the growing domestic market for bushmeat and supply the foreign market for exotic pets. 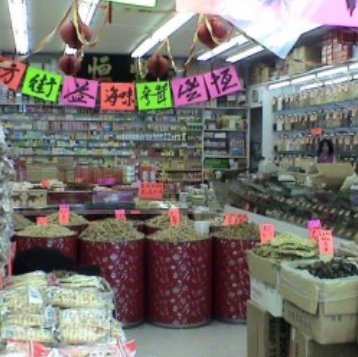 And literally tons of wildlife products are used for traditional medicine in China and the rest of Asia. Thousands of species are affected by illegal wildlife trade. Currently, about 5,000 animal species and 28,000 plant species are legally protected. Protected species include a range of mammals such as rhinoceroses, tigers and bears, to reptiles, birds, butterflies and beetles. Nobody knows how many animals are illegally trafficked each year. However, the legal wildlife trade comprises over 25,000 primates, 2 to 3 million birds, 10 million reptile skins, and over 500 million tropical fish each year. A snapshot of wildlife products offered for sale online provides some insights into the potential size of illegal wildlife trade. A sampling of a single week’s worth of online English-language listings in five categories of wildlife products (primates, elephant products, turtle and tortoise shells, reptile products, and wild cat products) conducted in January 2005 by the United Kingdom office of the International Fund for Animal Welfare (IFAW) revealed well over 9,000 separate offerings by private individuals and traders. 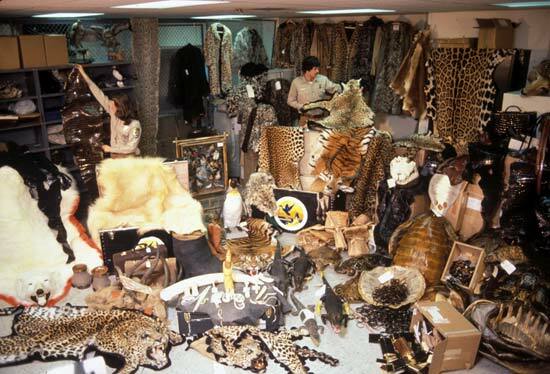 Of these, about three-quarters (6,750) were from protected species whose trade was illegal. The products ran the gamut, from a $70,000 live two-year-old Siberian tiger and a host of other tiger products to $65,000 chimpanzees, an $8,200 seven-year-old gorilla, whole $100 hawksbill turtle shells, and over 5,500 individual elephant products ranging from chess sets to $18,000 ivory sculptures. And this simply represents a seven-day snapshot of five product areas offered to the English online market. If one expands that to include commerce over an entire year in other protected species, other languages, and non-internet markets, the possible quantities are staggering.